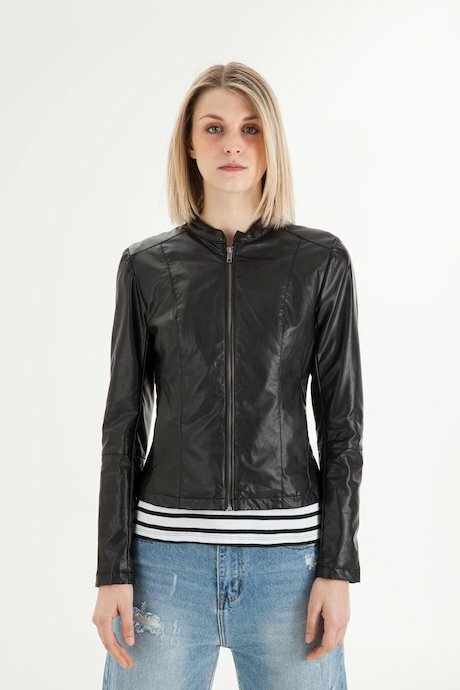 Woman's lightweight faux leather jacket with stand up collar. Internal lining and zip fastening. Urban inspiration and slim fit, feminine and fierce cut, it adds character to your look. The perfect garment to protect you from fresh air of the new season. Check Product Details for more technical information.